When I was young, my parents used to always say: “Switch of that music and do your homework! !” At that time, it was believed that listening to music while studying was distracting. Let’s not forget that the science, in those days, had me forced into eating tons of spinach in the misinformed belief that it would make me healthy. It was generally believed that spinach contained an incredible amount of iron, but today we all knows that this belief was due to a decimal point somehow ending up in the wrong place! Everybody knows that music can improve our mood and generate positive feelings, but now it seems it is considered to be good to listen to music while studying. In fact, there are a number of studies that prove that we can actually study better while listening to music. There are also studies showing that music can significantly boost productivity. 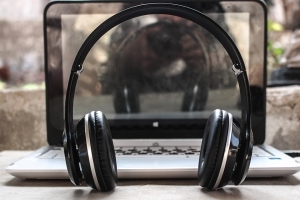 Apparently, music blocks out background noise and replaces unpredictable distractions with predictable and rhythmic sounds, thereby significantly improving the ability to remain focused. Research confirms that music can also help us to concentrate and perform for longer periods of time. This is particularly true for tasks that involve us being creative. Music can be used specifically to initiate internal processing and facilitate inventiveness. The tempo and rhythmic patterns of music help to maintain attention. Music can also help us to stay alert when we’re feeling drowsy. More importantly, studying while listening to the right music can help us to retain more information – turning it into a sort of auditory memory booster! One study found that students who attended a lecture where music was playing quietly in the background, scored significantly higher than students who attended the same lecture without music. And it’s not just music: recent studies have shown that listening to special recordings containing Brainwave Entrainment techniques, such as Binaural Beats, can significantly increase IQ and improve academic test scores! Work Better in Coffee Shops. Coffee shop workers have reported that they feel more focused, effective and creative. It seems that the sound of coffee shops is conducive to concentration and productivity. This seems to be because the sound provides the ideal level of distraction. Science suggests that the increased effort used to work against small distractions can actually enhance concentration and retention levels. In one study, 300 participants were exposed to an ambient background noise of around 70 decibels, which is about the level of a medium to busy coffee shop. They were then asked questions using objective word-association. Their score was significantly higher with background sounds than when the test was conducted in silence. SonicTonic is an app that has specifically designed programmes to improve focus and concentration. There is even a free series of surround-recordings of coffee shops. Receptive Sound Therapy uses auditory stimuli to help make positive changes in a persons mood, attitude, and actions. By positively influencing thoughts and feelings, it aims to improve their general life quality. As opposed to psychological stimulus, which uses a sound or a piece of music that has an existing association to a place, person, thought or experience to trigger a memory-based reaction, a neurological response is initiated by the properties of a sound itself and not by any pre–existing associations. One way to achieve a neurological response is via Brainwave Entrainment, which involves synchronising brainwaves to an external stimulus. There are a number of techniques that can do this, but let’s examine one called “Binaural Beats”. It is an effective tool for influencing both cognitive and physiological processes – such as memory, creativity or pain management. Binaural Beats can speed-up or slow-down brainwaves to influence everything from relaxation, sleep, focus, and general well-being. In neurophysiology, the effect of Binaural Beats has been examined extensively and the influence they can have on our brains has been thoroughly documented. Binaural Beats are responsible for a psychoacoustic phenomenon that occurs in the brain when the right and left ears are exposed to sine waves at a constant amplitude with a slight difference in frequency for each ear. For example, if a sine wave at 430 Hz is played in the left ear, and at the same time a sine wave at 440 Hz is played to the right ear (preferably over headphones), then the listener will perceive a pulsating tone of 10 Hz. The pulse produced in the head corresponds to the difference between the two frequencies. There have been studies that have investigated the effect of Binaural Beats on the human organism – both on cognitive processes, e.g. creativity, memory, and physical aspects, such as pain. In the following page, we will take a look at some of this neurophysiological research. A study by Prof. T. Ortis investigated the effect of Binaural Beats on memory performance. As part of the experiment, twenty subjects were asked to remember incoherent words and then recite them back from memory. During the study, which was conducted over a 15-day period, they were stimulated with various acoustic signals: Binaural Beats of 5Hz and 13Hz and white noise, respectively. The results showed a significant positive effect as for those exposed twice a day to 15 minutes of 5Hz Binaural Beats. At Leiden University in the Netherlands, an experiment explored the connection between Binaural Beats and creativity. In the study, 24 subjects performed 3 experiments per day: In the first, they were stimulated with a Binaural Beat using an Alpha frequency of 10 Hz, in the second with a Binaural Beat using a Gamma frequency of 40 Hz and in the third with a non-binaural, constant tone of 340Hz as a control situation. The order of the three experiments was varied from participant to participant. At the beginning of the experiment, the participants were stimulated with one of the three sound sources, and then, while the audio signal was on, given various tasks requiring creative thinking. In one part of the experiment, divergent thinking was examined. Tasks were set, e.g. to enumerate as many uses of a household item as possible in a given period of time. The second part of the task involved the study of convergent thinking. Participants were given the task of finding a word that can be linked to the three others, such as combining“super” with ’market’, ‘star’ and ‘hero’. The study found that stimulation with Binaural Beats, regardless of frequency, positively affects divergent thinking. On the other hand, the third non-binaural sound had no effect whatsoever on convergent thinking. The prospect of surgery often leaves patients with a sense of anxiety. This can be explained by the feared loss of control, the unfamiliar environment, and the perceived risk of the procedure. Dr. Padmanabhan and his colleagues investigated the influence of Binaural Beats on the feelings of anxiety experienced before an upcoming operation. The study was conducted at the Sunderland Royal Hospital over a 6-month period with a total of 108 patients who were awaiting surgery under general anaesthesia. No audio file was played to them (the Participants were allowed to read or watch TV, for example). Participants were then asked to complete the same questionnaire again. The result was a significant reduction in the level of anxiety for those who had listened to Binaural Beats. A study by Dr. Donna D. Zampi investigated whether Binaural Beats can be used effectively to relieve chronic pain. To this end, 36 patients who were suffering from various types of chronic pain were divided into two groups. One group listened to Binaural Beats at 6Hz for 20 minutes on 14 consecutive days, while the other group listened to a non-binaural tone of 300Hz as placebo. Subsequently, the groups were changed for the next 14 days. As a result, it could be proven that the perceived pain could be significantly lowered by listening to Binaural Beats. Can Binaural Beats be Measured? A number of studies have proven that listening to Binaural Beats can influence brainwaves and that the brain will synchronize to the frequency given by the Binaural Beats. This can be measured when a large number of neurons in the brain, send small electro-chemical signals to each other. This activity can be detected and visualized on an electroencephalogram (EEG). The voltage fluctuations on the surface of the head are measured and show the electrical activity of the brain as brainwaves. It is safe to say, it is scientifically proven that Binaural Beats can positively influence various cognitive and physical processes, such as memory, creativity, fear or pain. Many listeners perceive Binaural Beats to be more pleasant when they are embedded in music as opposed to listening to pure sine waves. Health & Medicine, Jan/Feb2016, Vol. 22 Issue 1, p32-38. 7p. Together with the Neurologist, Professor Dr. med Yong-Seun Chang-Gusko, Professor of Health and Social Management at the FOM School of Economics & Management in Hamburg, Germany, we conducted a study to measure the efficacy of the e-Health app SonicTonic on a group of students. The questionnaire was developed by the SonicTonic team and consisted of a pre and post test to collect personal and app-based data. The users received a coupon code, which allowed free access to the app, and they were encouraged to use the appropriate sound programmes when they wanted to sleep or relax. The duration of the study was 1 month. The test group proved to be balanced and felt confident about using technical equipment. Additionally, they were interested in the possible influence of sound on body and mind. The collected data from both before and after the test was compiled into an efficacy trial for SonicTonic. Our hypothesis was that the application would alleviate sleep problems, reduce stress and generally improve the user’s quality of life. 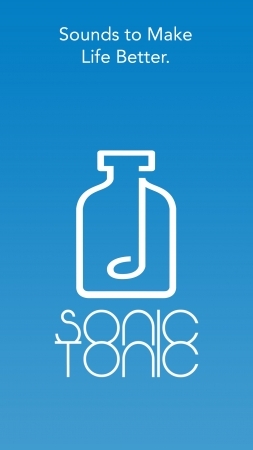 Julia Meier, female student, 22 years old from Hamburg, had not previously used a sound or music therapy app before SonicTonic. After using the app once or twice a week, she reported an improvement in sleep and relaxation. She was enthusiastic about the simple and practical handling of the app, and found the SonicTonic website informative. She particularly found the Knowledge Pyramid interesting and helpful. Overall, the hypothesis of the effectiveness of SonicTonic as an e-health application can be positively confirmed. The generated profile, which accounts for approximately 60% of the entire test group, not only shows the high significance of the correlation between sound and sleep, but also the increasing role of e-health in our healthcare system. Comments indicated both psychological and neurological effects. The physiological response is seen as a memory-based reaction to a piece of music or a music style that triggers an existing association to a place, thought or experience. A neurological response is one that is triggered by the properties of a sound itself and not any pre–existing associations. Examples of this are the Brainwave Entrainment techniques used in SonicTonic, such as Binaural Beats or Brain Hemisphere Stimulation. SonicTonic is not considered to be just a sleep app, but more an auditory mental hygiene tool for promoting a more effective life. The study used only Tonics to reduce stress and promote sleep and did not include Tonics for stimulating learning and increasing productivity and focus. This area will be studied at a later date. Using sound and music to intentionally bring positive change may not be a new territory at first glance, but the concept of mixing together a number of existing techniques was considered to be somewhat of an innovation. The student’s data suggested that, by integrating Receptive Sound Therapy into their everyday life, the users are capable of improving social practices, such as work and sleep routine or dealing with anxiety and stress in general – and this as little as just a couple sessions weekly. The convenience of SonicTonic being a mobile application and the short session duration of only 10 minutes allowed the students a seamless integration into their routines – highly recommending the easy-to-use attitude. Especially interesting is the finding that the different auditory techniques (ingredients) have been considered to be “effective”. Further research on the combination of these techniques is recommended to conclude possible psychological and physical reaction on different age groups and social sectors. Brainwave entrainment is a good example of technology positively affecting biology to intentionally synchronize our brainwave frequencies with an external stimulus. In our case, this stimulus is sound. We use Brainwave Entrainment to align thought patterns for different purposes. For example, to improve sleep, feel less stressed and calm or be more focused. There are various technologies available such as Binaural Beats or Isochronic Tones, that are each described in detail in the Knowledge Pyramid on www.sonictonic.io. This article will tell you about the different types of brainwaves and what they do. Brainwave entrainment is the synchronization of the two hemispheres in the brain. Therefore, brainwave entrainment is also referred to as hemispheric synchronization. Using technical methods, it is possible to influence and reconcile the brain waves. Sound waves for instance are nothing more than vibrations of air. These little waves pulsate in a certain rhythmical pattern, that is being adopted by the brain waves. Like stomping your foot to a beat that is being played. If you are very tense and need to concentrate, your brain will work in the gamma frequency range at 40 Hz (40 cycles per second). The dreamless deep sleep phase takes place in the delta frequency band – your brain waves then oscillate between 0.1 and 4 Hz. By specifically influencing the brainwaves, you can control the individual activities in the brain itself. These states can be initiated entirely without the aid of technical means. For example, if you want to relax, or go to bed: if you live well, you will come to sleep without any aids. How does Brainwave technology work? Stimulation of the brain waves causes certain states of consciousness. The brain is consciously directed to the appropriate work mode in which it works best. It can be proven that brain waves can be influenced if you provide the brain with opportunities that it understands. Since the brain waves move in the frequency range between 0.1 and 40 Hz, it just needs these frequency bands to address the brain directly. Problem: Human hearing perceives sounds that range from 20 Hz to 20,000 Hz. Outside this frequency range we cannot hear any frequencies. Brainwave technology, however, knows ways to circumvent this. Firstly, it is important to know that humans display five different types of electrical patterns or “brainwaves” across the cortex. All brainwave entrainment increases the growth of new neural pathways, and improves the communication between the right and left hemispheres. Gamma 31 Hz -100 Hz, Beta 14 Hz -30 Hz, Alpha 9 Hz-13 Hz, Theta 4 Hz -8 Hz, and Delta 0 Hz – 4 Hz. The brainwaves can be observed with an EEG (“electroencephalograph”) – a tool that makes brainwave patterns visible. Each brainwave has a specific purpose and allows for optimal mental functioning. Our brain’s ability to become flexible and to transition through the various brainwave frequencies plays a large role in how successful we are at managing stress, focusing on tasks, or getting a good night’s sleep. If one of the five types of brainwaves is either overproduced or under produced in our brain, it can cause us problems. For this reason, it is important to understand that there is no single brainwave that is “better” or more “optimal” than the other. They all have their purpose at different times. By exposing ourselves to specific frequencies, we can influence the way we think and feel. Let’s take a look at the individual frequencies. Theta is the best state for memorisation and creativity. In the Theta state the brain activity has slowed below Alpha (at approximately 4-8 Hz) and an even greater connection occurs between the conscious and unconscious mind. It is here that intuition and spontaneity happen, and creative problem solving can be well-utilized. The Theta state is often suspected to be the resource of great artists and thinkers. If you need to memorise a lot of information – history, formulas, etc., Theta may be your best bet. Theta waves are connected to us experiencing and feeling deep and raw emotions. Too much theta activity may make people prone to bouts of depression and may make them “highly suggestible” based on the fact that they are in a deeply relaxed, semi-hypnotic state. 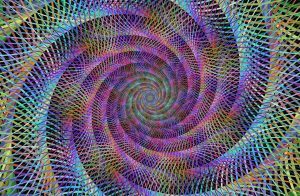 Theta waves can help us to improve our intuition, creativity, and makes us feel more natural. They are also involved in restorative sleep and daydreaming. As long as Theta isn’t produced in excess during our waking hours, it is a very helpful brain wave range. The Alpha state occurs when brain activity slows just below the normal waking state of Beta (14-30 Hz). In Alpha, the mind and body are relaxed but a level of focus is easily maintained. 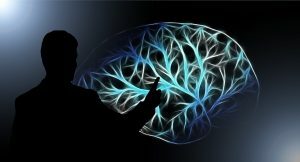 Modern brain science has shown that only 1 of 6 of our brain’s processing methods happen on the conscious level, so there is certainly a benefit in engaging the deeper parts of the brain, while taking in information. This frequency range bridges the gap between our conscious thinking and subconscious mind. In other words, alpha is the frequency range between beta and theta. It helps us calm down when necessary and promotes feelings of deep relaxation. If we become stressed, a phenomenon called “alpha blocking” may occur which involves excessive beta activity and very little alpha. Essentially the beta waves “block” out the production of alpha because we become too aroused. There is also a greater link between the conscious and subconscious mind in Alpha, meaning that while one is consciously learning, their brain is also unconsciously processing what one is learning. There is also great value in producing Gamma waves, as these, more than the other brainwaves, have been directly linked to increased IQ, enhanced cognitive function, and improved memory. If you need to learn something new, I would recommend Alpha, as the relaxed yet focused mental state will make it much easier to stay interested and process clearly. It also wouldn’t’t be a bad idea to listen to some Gamma brainwave entrainment audios on a semi-regular basis when one is not actually studying to help boost IQ and cognitive functioning. Gamma waves are involved in higher processing tasks as well as cognitive functioning. Gamma waves are important for learning, memory and information processing. It is thought that the 40 Hz gamma wave is important for the binding of our senses in regards to perception and are involved in learning new material. It has been found that individuals who are mentally challenged and have learning disabilities tend to have lower gamma activity than average. Germany´s most known sleep physician Jürgen Zulley calls music the number one medicine for sleeping disorders. He recommends listening to quite and calming music while its necessary to focus on the sound. He says, that the monotone stimulation is prerequisite for falling asleep and important for it, to be restful. We created different Tonics that trigger these monotonous stimulations and help you with getting a good night sleep. According to the DAK Healthreport 2017, more than twice as many employees take sleeping medication than in 2010. These can negatively affect your health though, causing headaches, sickness or metabolic disturbances. Also, they change the sleep cycles by eliminating the R.E.M. sleep (Rapid Eye Movement), the dream phase, which is extremely important for a mental balance and relaxation. One in ten workers suffers from particularly severe sleep disorders, so-called insomnia. That’s 60 percent more than in 2010. The DAK health report 2017 shows that a shockingly high number of 80% of the 18 to 65 year olds says they struggle with falling asleep or sleeping through the night. Especially insomnia, particularly severe sleep disturbances, concerns every tenth employee and can also entail declining concentration and reduced mental performance. Studies have shown that a growing number of people suffers from sleep disturbances, which can severely affect their health in terms of muscle tension, body temperature, metabolism and other functions. According to a study conducted by the University of Warwick and the University College London with 4600 men and women, especially for women the risk of a heart attack increases with a lack of sleep.